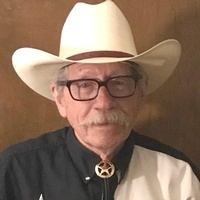 Jerry Dean “Sugar” Caudle 74, of Amarillo, died Saturday, Oct. 6, 2018 in Amarillo. Services will be at 2:00 PM Thursday at Temple Baptist Church with Scott Higginbotham pastor officiating. Burial will be at Memory Gardens Cemetery. Arrangements are by Rector Funeral Home Osage Chapel, 2800 S. Osage St.
Jerry was born May 24, 1944 in Hale Center. Jerry had a variety of jobs in his life. He worked at the pickle factory, cotton gins, and as a greens keeper to name a few. He retired from the USBM Exell Helium Plant and until his death he worked for Golden Light Equipment Company as a service tech. Jerry was the sweetest, nicest man on earth. He never met a stranger, could fix anything and would do anything for anyone who needed help. He was so kind and loving. He always had a smile on his face and a song in his heart. His family, friends and coworkers will miss him very much. Jerry was preceded in death by his parents Charlie and Ossie Faye Caudle, three brothers, Daniel, Garry Jean and Vernon Caudle, his sister, Bettie Cargill and two brothers-in-law, Pat and Mike Wallace. He is survived by his wife, Vanessa; sisters, Peggie Downy, and Pat and Lee Billington; his parents-in-law, Bill and Willila Abell; sisters-in-law, Kay Elliott, Karen and Terry Massey, Donna and Mike Williams and Cyndi Abell; his brother-in-law, Bill Abell; nieces and nephews, Carla, Cathy, Howard, Diane, Debbie, Dean, James and Courtney, Galyn and Amanda, Trisha Rhae and Matt; and last but not least, his five best little friends, Pixie Belle, Bobby Ray, Mary Kay, Woodrow Call and Kitty BooBoo Russell.